Banyuwangi has become one of Indonesia’s famous tourist attractions. 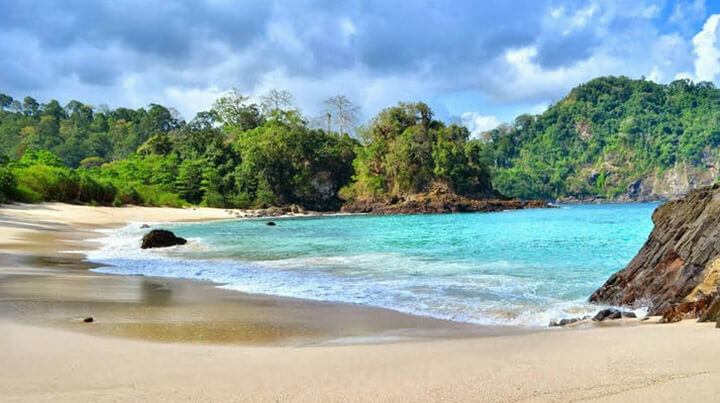 Having some beautiful natural tourism spots allows Banyuwangi to attract local and international tourists. Mahkota Hotel Genteng Banyuwangi is perfect choice for your stay as it is strategically located to explore all of those tourist attractions in Banyuwangi. 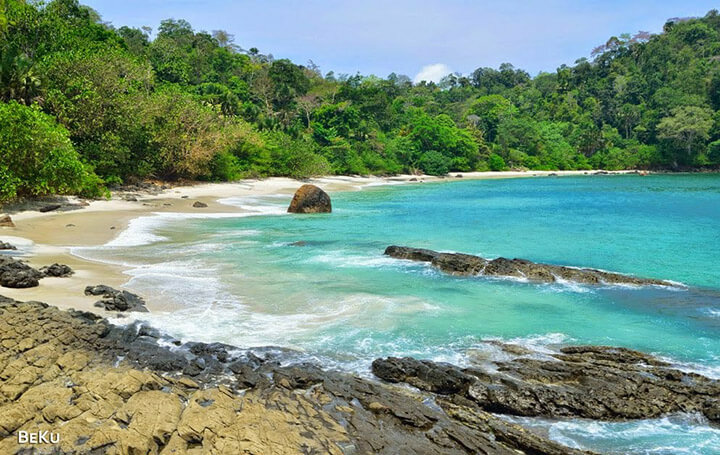 Here are some most famous tourism spots in Banyuwangi. Red Island Beach (Pantai Pulau Merah) is located in Pesanggaran district in Banyuwangi. The beach is famous for the small green hill, a few meters from the shoreline. The hill can be visited by foot when the tide recedes. Besides its amazing views of sunset, the beach is also well-known to be the destination of many surfers from around the globe. Quite differently from the G Land beach, Red Island Beach has very few of rocks, which makes it quite safe for beginners. The beach can be reached within 90 mins driving from the Mahkota Hotel. In Javanese language, “wedi” means sands, while “ireng” literally can be translated as black. 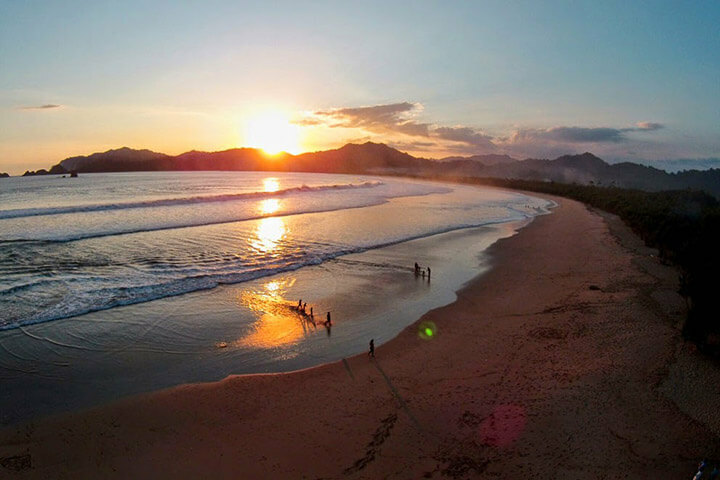 Wedi Ireng Beach is one of some lovely beaches located in the Pancer village, Pesanggaran district in Banyuwangi. It’s only 3 km away from the Red Island Beach and 65 km south of the center of Banyuwangi. The beach is quite a virgin, and naturally beautiful, with blue clear sea water. The shoreline is surrounded by the trees, giving a shady and quiet feel. The sands are the mix of white and black sands. The rocks along the shoreline also add a certain fascination to the view. On one side of the coast, there is an enormous rock which is a landmark of the beach. You can reach Wedi Ireng Beach by driving for about 120 mins from Mahkota Hotel Genteng Banyuwangi. Green Bay Banyuwangi, or what the local people call “Teluk Ijo”, is one of Banyuwangi’s virgin natural spots. It is located about 90 km south of the center of Banyuwangi. Along the trip you’ll see a quite unique beach, Pantai Batu (the Rock Beach). It is named after the fact that the coast is covered by pebbles. The Green Bay Beach has a shoreline with clear green colored sea, unlike the usual blue-ish sea water. The beach are thickly covered by delicate grain of sands, which make it really tender to step on. Near by the beach, there is also a mini waterfall measured as 8 meters high, good enough as a place to shower your body after playing on the beach. It takes about 3 hours of driving to reach the Green Bay Beach from Mahkota Hotel Genteng Banyuwangi.